We answer common questions about copyright law and file sharing. New Zealand copyright law is clear about what can and can't be copied, but many people are not familiar with the rules. We answer common questions about copyright law and file sharing. Can I make a copy of albums I own? Yes. A recent amendment to the Copyright Act means that you can copy music – in the Act as "sound recordings" – you own for your own personal use. However, you can only make one copy for each device that the music is copied to. So you can copy a CD to your computer, but only once. And you can only make one copy on recordable CDs. So I can make a copy for my car, or a compilation dance CD for a party? That's right. But only one. Making more than one copy is a breach of copyright. And you definitely can not sell the copy or lend it to anyone. Each copy you make has to be for your use only. What about my mp3 player? The rise of iPods and other mp3 players was part of the reason the Act was updated. 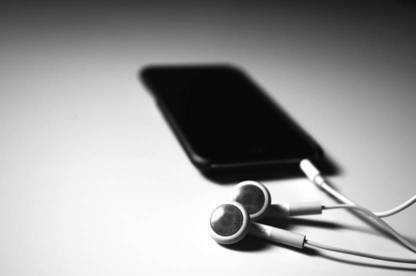 It is legal to make a copy of music you own on a portable device (or computer), and it's also legal to copy the music to each device or computer in your house – if you have more than one person with an mp3 player. But you can't then sell the device with the music still in it. The rise of iPods and other mp3 players was part of the reason the Act was updated. Can I make "fair use" of material in New Zealand? Yes you can. But our copyright law defines "fair use" more specifically. It applies only to copying for the purpose of criticism, review, news reporting, research or private study. Can I download mp3s from the internet and copy them to CD? Sure – as long as they were obtained legitimately – either purchased from an online store or from a legal free download. As we said before, if you own the music legally then you can make a copy. However, always check the terms and conditions on the site. I recorded a concert I went to. Can I copy this onto CD? Making a recording of a concert without permission is in itself illegal. Making further copies is worse. This practice is called "bootlegging" and carries serious penalties. Next you'll be saying I can't record off the radio or TV! Well, you can, but only for the purpose of "time shifting" – making a recording to be viewed or listened to at a more convenient time. You're not supposed to keep the copy for any longer than necessary. So what about DVDs and downloaded movies? Currently the Copyright Act doesn't allow for you to make copies of movies in the same way as music. This may change in the future but currently making copies of movies as back-ups or to watch on a portable device is illegal. And movies should only be downloaded from legal online stores. In some respects, yes. If you are the lawful user of a program (having acquired the licence to use it) and are not expressly forbidden by the licence, you can make a backup to use if the original is lost or rendered unusable. Can I lend my backup of a computer game to a friend? Your backup can be used only by you and only if the original disc is unusable or lost. But most modern game systems have pretty hefty copy protection on them and are made on blu-ray or similar formats, so copying might not be a simple procedure. But I've seen lots of "backups" of movies and games for sale on auction websites. Piracy is so rife it's difficult to stamp out. The terms and conditions on most sites do state users must not sell illegal goods, but this doesn't seem to stop people. So don't buy them either. Enough already. What can I use a CD or DVD burner for? Well, as we said you can back-up your CDs, but not your DVDs. And you can do what you like with material you have created (or otherwise own the copyright on), such as photos or video, music or other sound recordings you have composed and/or performed. Copyright in a sound recording or film expires 50 years after the end of the year in which it was made. Computer software follows the rules for literary work: the copyright expires 50 years from the end of the calendar year in which the last living author of the work dies. What are the penalties for breaking copyright law? Civil and criminal penalties may apply. Depending on the magnitude, intent and other factors such as whether it's a first offence, the penalty may be as little as having all your copies confiscated or as much as a $150,000 fine and 3-month jail sentence. Is copying without permission ever acceptable? Students, educational institutions, libraries and governments are sometimes allowed to reproduce copyrighted materials, but the circumstances are very limited. See www.copyright.co.nz, or contact a lawyer specialising in copyright law for more detailed advice. I've seen CC around, what's that? CC stands for Creative Commons. It's a simple form of copyright that copyright owners can use if they don't mind some people using their work. Usually it means that you can use their work (such as quoting an article or sampling some music) as long as it is not for profit. But as always, check before using. See www.creativecommons.org.nz for more information. On 1 September 2011 an amendment to the Copyright Act 1994 came into force. The amendment provides copyright owners with the means to take enforcement action against people who infringe copyright through file sharing. What is the law targeting? The amendment targets infringement of copyright via file sharing. File sharing is the downloading or uploading of material using peer-to-peer (P2P) networks or applications which allow material to be shared among multiple users. An example is downloading a movie subject to copyright via a P2P platform such as Pirate Bay. An important aspect of the amendment is that liability rests with the account holder (the name or names on the internet bill) who is not necessarily the person infringing copyright. The system is built around education and the deterrent effect of issuing notices. An internet service provider (ISP) must take certain action when a copyright owner identifies an internet protocol (IP) address at which an infringement is alleged to have occurred. The ISP matches the IP address with the account holder and issues the appropriate infringement notice. There are 3 levels of infringement notice: a detection notice, a warning notice and an enforcement notice. Effectively this is a 3-strike system against the same copyright owner with time limits at each stage. Detection notice: The ISP must issue a detection notice to an account holder for a first time alleged infringement. The notice must be in a prescribed form and contain certain information including the consequences of further infringing and how the account holder may challenge the notice. A detection notice expires 9 months after the date issued. Warning notice: The ISP issues a warning notice to the account holder if another alleged infringement occurs in relation to the same copyright owner at least 28 days after the date of the detection notice. The warning notice must be issued before the 9 month expiry of the detection notice. Enforcement notice: The ISP must issue an enforcement notice to the account holder if a third infringement occurs in relation to the same copyright owner at least 28 days after the date of a warning notice. The enforcement notice must be issued before the warning notice expires. An enforcement notice expires 35 days from the date of issue. How can I challenge a notice? A ‘challenge notice form’ is included with every infringement notice sent by the ISP. You must fill it in and return it to the ISP within 14 days of the date of the infringement notice. The ISP must then immediately forward it to the copyright owner. If the rights owner rejects the challenge it must send a response setting out the rejection and the reasons for it. Even if the challenge is rejected, the account holder can raise it again in any enforcement proceedings (see below). A challenge will be deemed to be accepted if notice to the contrary is not received within 28 days. If the challenge is accepted or deemed accepted, the notice is cancelled and treated as if it was not issued. A copyright owner may take enforcement action against an account holder who has been issued with an enforcement notice. The Tribunal can order an account holder to pay a copyright owner if it is satisfied that each of the 3 alleged infringements issued to the account holder was an infringement of the rights owner's copyright, occurred at an IP address of the account holder, and the 3 notices were issued in accordance with the Act. Generally decisions are based on paper rather than in a hearing. This means any challenges will be in writing unless the Tribunal grants a hearing. The sum paid is determined in accordance with regulations made under the Act in relation to each infringement identified. The total amount cannot exceed $15,000. The Tribunal may decline to make an order if it would be manifestly unjust to the account holder. If the notice regime is not effective after 2 years, a tougher provision could be introduced leading to suspension of accounts. The District Court could have the power to order a suspension of the internet account of an account holder for any period up to 6 months. This power is not currently in force. The Court would have to be satisfied that suspension was justified and appropriate in the circumstances, given the seriousness of the infringing. We are a screen printing company. We have a customer instructing us to print her designs which include photos of actors. She is going to on-sell these t-shirts and give the proceeds to charity. How do we stand? Thanks for your comment. One of our advisors will be in touch to answer your question.